If you think you can achieve the best results with your training by wearing your old high school t-shirt and shorts, think again. Over the last few years, the market of sports gear and sports apparel has evolved in terms of variety of products, quality, and design as there is an increase in the number of people interested in all sports activities. Due to higher demand, the sportswear market has gone through various acquisitions and mergers and new trends, such as healthy life style, introduction of new sports, increased sports participation rates, etc. Today, high performance sports apparel and sports gear differs a lot from what was available o the market just a decade ago. Not everything is about choosing sports apparel to look perfectly fit or sports clothing with moisture wicking properties. Sportsmen and sportswomen can buy shorts that are able to collect information about their muscles to analyze their athletic performance. This emphasis on developing high-tech sports gear to increase the performance is widely accepted and is expected to contribute to the sportswear market increase and new trends. Here are the three top trends in sportswear that are expected to have a significant impact on the market. The sportswear market is experiencing a huge upsurge in research and development investments, as retailers are competing in terms of development of new products for sportsmen and sportswomen. Recently, there has been a big interest in developing energy-related fabric products that enhance the blood circulation and muscle recovery. One popular type of fiber is the Celliant, a mineral-based technically engineered textile fiber that takes advantage of the natural energy of a human body to provide performance and health benefits. Over the recent years, the demand for activewear for women and men has been increasing at an incredible speed. 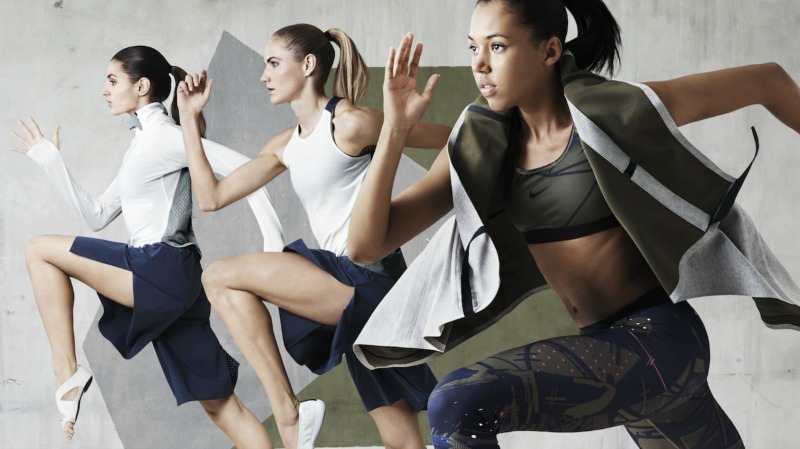 Even some of the world’s leading fashion brands have moved into the activewear business by launching activewear collections. This has not only greatly contributed to the expansion of the sportswear market, but it has also increased the competition. According to popular belief, men are believed to be more active. However, recent trend reports show that there has been an increase in the demand for women’s sports apparel what defeats the popular belief that women are not as sports active as men. Some of the world’s largest sports vendors are increasingly introducing sports gear and sports apparel for women.